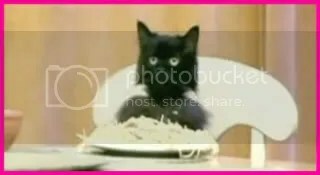 Awesomeness Deserves The Spaghetti Cat | Awesomeness For Awesome's Sake. I have to say that Spaghetti Cat is the new Awesomeness For Awesome’s Sake mascot. Just look at him! Man, that cat is some serious trouble.